What you think you need is wrong. Use Data to See the Unseen. Your customer’s experience is all that matters. A new approach in tech development for today’s digital economy. Digital businesses face 3 problems. 1. Money to fund a venture. 2. Technology to fuel business. 3. Marketing to drive awareness. DGDean provides end-to-end technology and digital project management services to fast growing start-ups. Services include network operations, security, industry compliance (HIPPA / PCI), multi-channel development, analytics and Artificial Intelligence (AI). For most clients, we are their technology department! Over and over again, businesses THINK they know what their customers want and burn money and time creating something that’s off the mark. Or oftentimes businesses simply find that their assumptions were wrong and they need to adapt to a new reality without starting over. Your digital infrastructure better evolve as your customers’ needs evolve. Going to market NOW is essential. There’s simply no time to waste. Defining a minimal viable product that gives you speed to market will give you more time to let the people who know best, your customer, define what direction your business needs to go. Extensive data collection, analytics and response is key to evolving your business model to perfection. You need to bring the latest thinking and tools to the table to give you the insights to know where to invest and how to evolve. Tech is the backbone of your business. And it better work. Reliably and Fast. On any device. That’s a given. Add incredibly easy to use digital experiences to help cover all sides of your success. DGDean leverages the power of the cloud and some of the most brilliant minds in the tech and design industry to help businesses go to market with the right product at the right time. After you've launched, we'll work with you to continually perfect your business model and performance through careful tracking, data analytics, and design response. It's an iterative, agile approach that's worked time and time again. Sweet Defeat is the science-backed lozenge that stops sugar cravings before they start. The patented formulation is clinically proven. Customers sign up for a continuity-based delivery program to make sure they never miss a dose. A consumer-facing financial empowerment platform that provides consumers, creditors, and businesses seeking an on-demand workforce with a data-driven solution, powered by sophisticated analytics and machine learning. Steady enables consumers to take control of their financial health with supplemental or full-time on-demand workforce opportunities that enable debt service and increased current income. 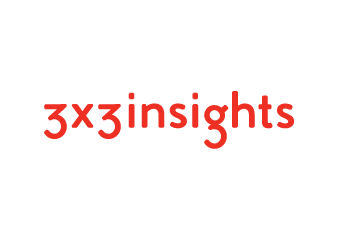 3x3 Insights is building the first data intelligence platform focused solely on the independent liquor retailers to provide the beverage alcohol industry with deep insights into consumer behavior, product dynamics and customer engagement.